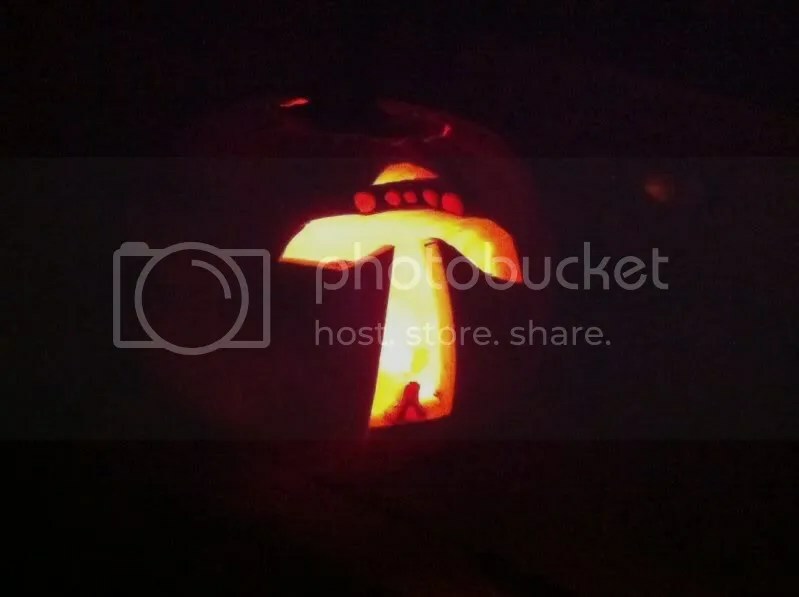 After moving the voting to a non-blogging venue last year, we’ve brought it back this year and invite everyone to cast her or his vote for this year’s Ultimate Pumpkin Carving Champion. I appreciate those of you who are not familiar with the pumpkin carving contest and who are just here for the food being patient as the wait for more recipes extends just a few days more. But there will be more great eats, I promise. On deck to be posted: balsamic hummus, apple strudel, citrus pound cake, and German potato salad. 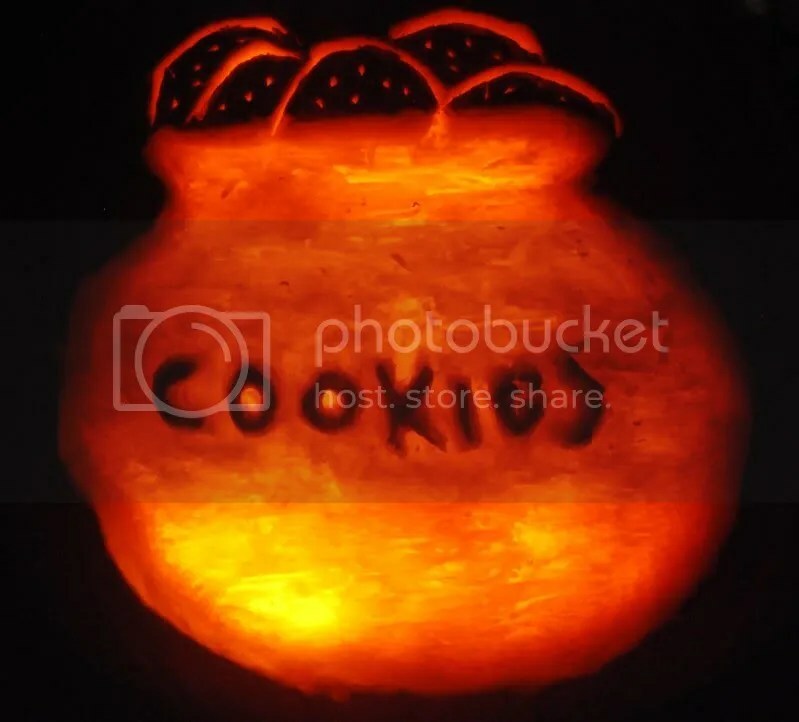 For now, though, it’s all about the gourd art. Bare-naked carving. No stencils, no accessories, no painting, no bells, and no whistles. Just mad skills. The carvers are to be judged by three things and three things only (but please cast only one vote as these are not three different categories but rather a rubric to be applied to your decision making): carving, creativity, and originality. 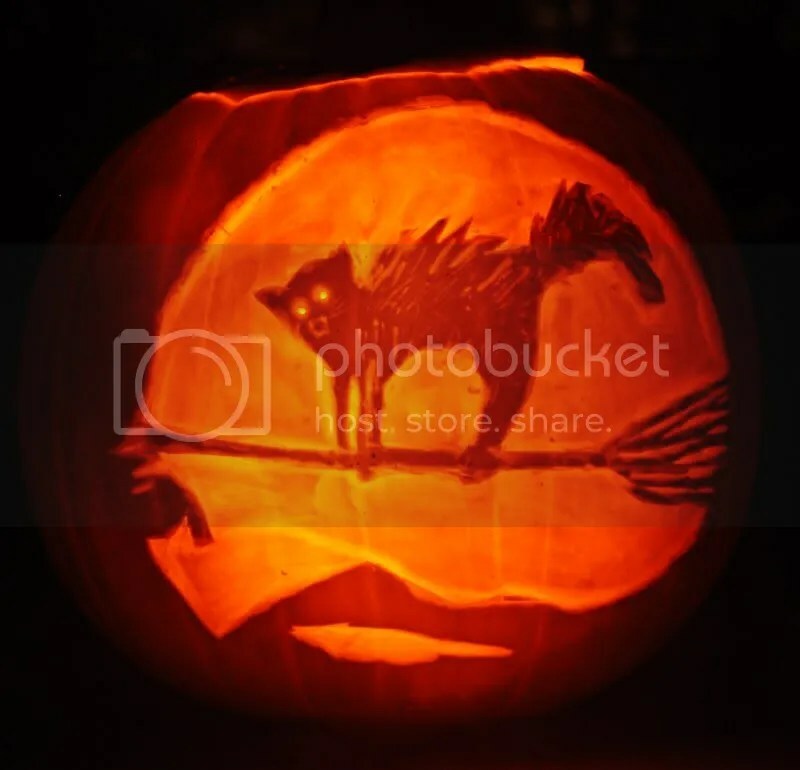 This year six carvers have convened with one dream: to be named the Ultimate Pumpkin Carving Champion of 2011 and to be given the bragging rights associated with the title. A review of how it works: Please consider the six anonymous entries for this coveted title (pictures are posted below). 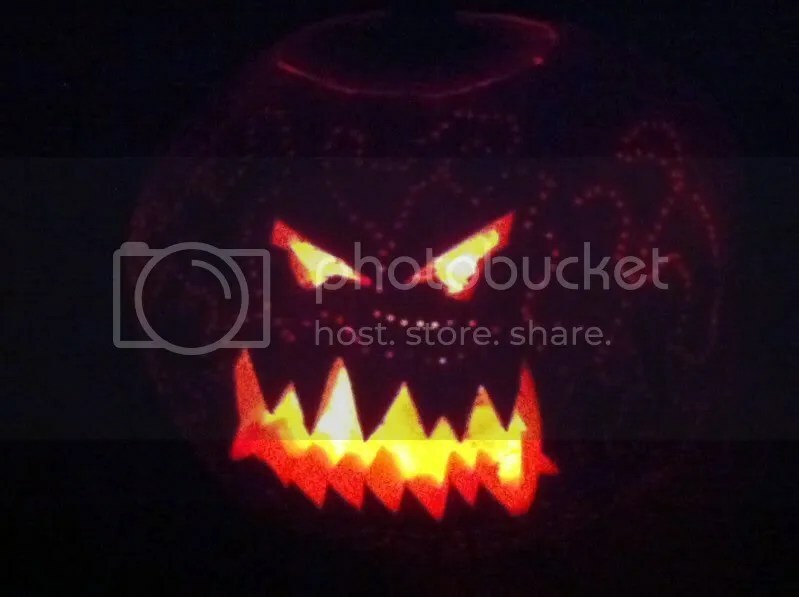 Post a comment that contains your vote for the pumpkin most worthy of being called the best of 2011. This is where destinies are realized and dreams are shattered. Voting will be open until Thursday at midnight and the winner will be posted on Friday. Happy Halloween, and let the games begin! I'm a Witch's Cat on the Full Moon. How Would You Look? Hat Bee Howl Oh Bean! Cauldron of Cookies. "Now what starts with the letter C? Cookie starts with C! Let's think of other things that start with C. Uh..uh...who cares about da other things?!" C is for cookie and that's good enough for me. Please leave your vote in the comments below! I vote for C is for cookies!!! I like cookies. as always this is a tough decision… really tough. i’m going to have to go with the witch’s cat. 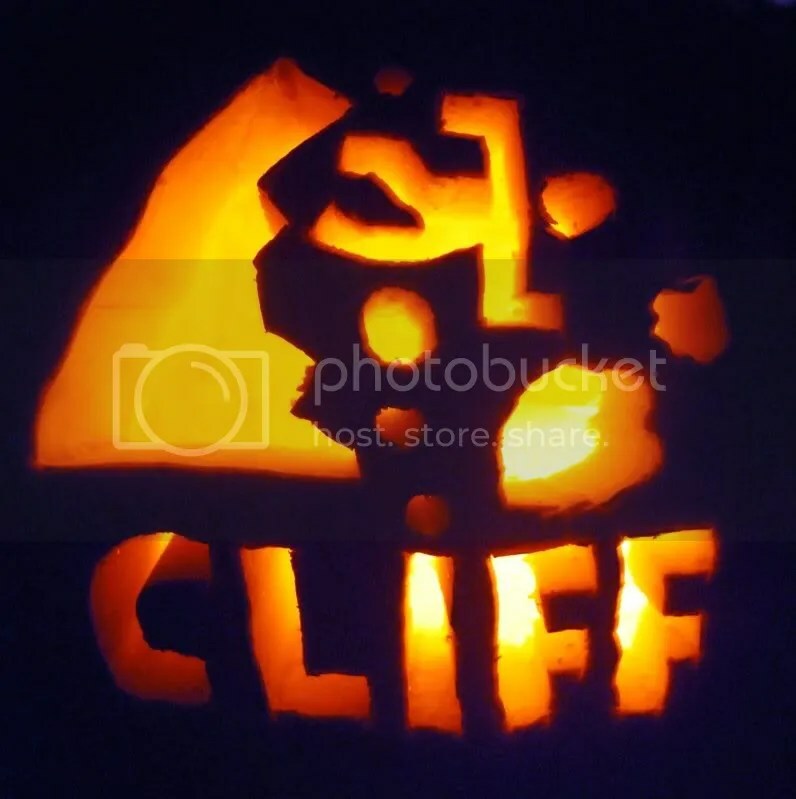 cliff, cause it makes me think of hawaii and pitfall, two of my favorite things. Tough decision, but “a Witch’s Cat on the Full Moon” takes it. on November 2, 2011 at 7:56 pm | Reply Carmen H.
They are all so good! But my fav was Filigree Fright.. Mad design, carving and full chicken skin effect! Good luck! They are all awesome! My favorite is the first one! Whoa! Well done all round! I vote witch’s cat. These are all impressive, great job! I vote Snicker Treed, that squirrel is sassy! So many excellent options! Initially most tempted by the stippling effect on “Filigree Fright”, but I applied the rubric as required by the High Priestess of Carving and I come back to “Cauldron of Cookies” for carving, creativity and originality every time. Mommy votes for Filigree Fright and Maura loves the squirrel! Great job this year. We missed being a part of the fun. Hope all is well!!! Give my vote (and my respect) to Filigree Fright. Something tells me this one looks even cooler in person. Cat all the way. Nice pumpkins! 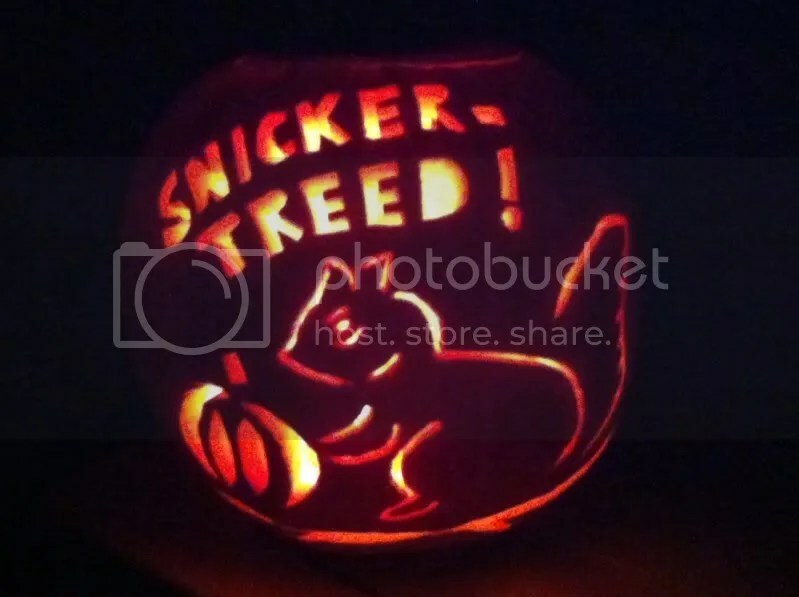 on November 3, 2011 at 5:53 am | Reply Linda J.
Gotta love the “Snicker-Treed” squirrel pumpkin—it is too cute!!!!! Cauldron of cookies …. just what I want right now! #1….frightful and fancy at the same time. Nice carving crew! Cookies #1 but Spooky Cliff a close second. Great job by all. can’t help it. cookies, please. Tough call, as two of my favorite things are up there: cookies and cats. However, I have a great appreciation for signs of absurdity, so my vote is going to CLIFF!